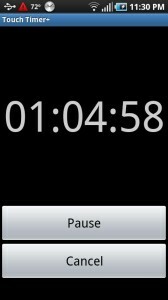 -New: Touch Timer+ created, same as Touch Timer with no ads or analytics. -Bug Fix: Fixed Force Close issue involving WakeLock. 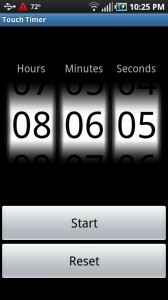 -New: Text Color Option for the countdown text. -New: Added Google Analytics to send back anonymous usage data to assist with future development. -Bug Fix: Alarm Finished dialog no longer dissapears on orientation change. -Bug Fix: Alarm in Silent Mode now works properly on all versions of Android. -New: Icon updated to comply with Android 2.1 standards. -Bug Fix: Notification volume issues fixed. -Bug Fix: Now starts properly from the quick launcher. I recently switched from an iPhone to the HTC Dream (T-Mobile G1) Android phone. I am a huge fan of the Android operating system and I started writing applications for it. My first application is “Touch Timer”. I developed this application after not being happy with any of the timer applications on the market. 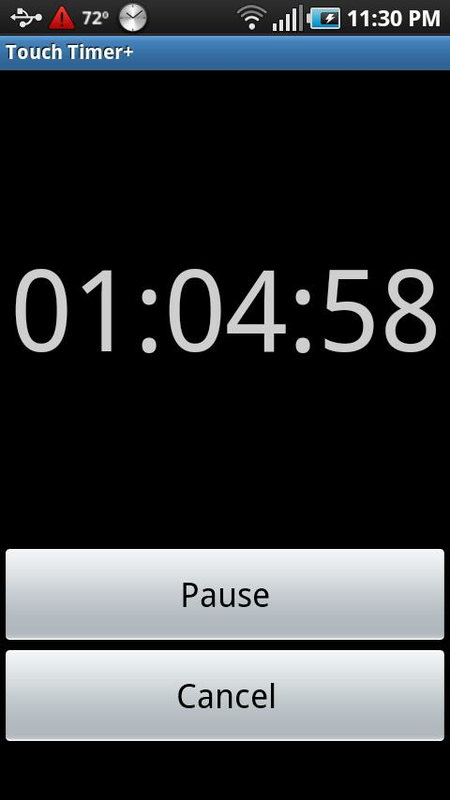 Touch Timer is a countdown timer application with an intuitive touch interface. You input your time by scrolling up and down on the appropriate number or by pressing the plus and minus buttons. The alarm will go off even if the phone is asleep. You can set the alarm to honor or override the silent/vibrate mode depending on user preference. Alert sound is user selectable. 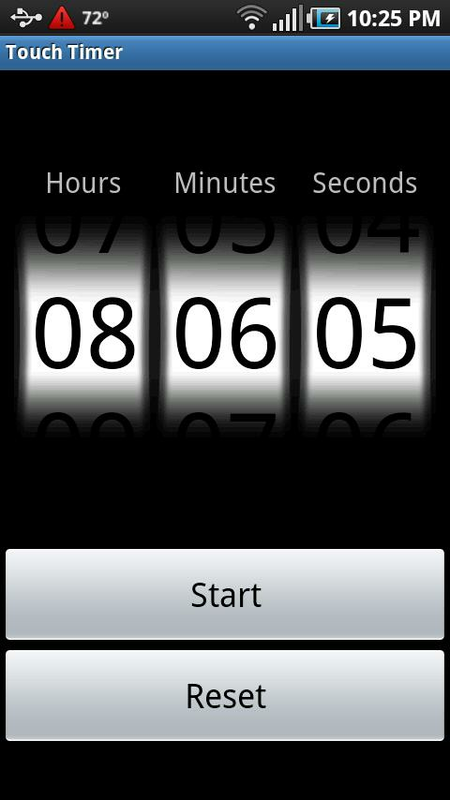 You can download Touch Timer for free from the Android market. Cyrket Link for those not on an Android device. 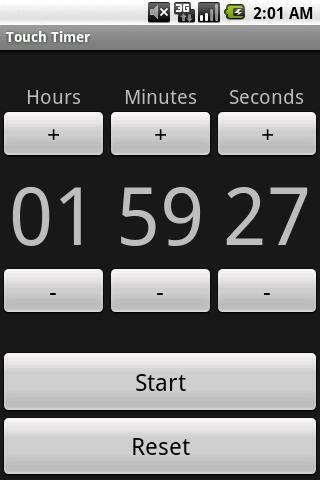 I was not happy with the existing timer applications either and started writing one. Mine is also inspired by the iPhone one, so it is very similar. Yours is in a more advanced state, though. I’ve not published it yet, I was planning on doing it in the next days. Hi Romain, thanks for the comment. Good luck on your timer, feel free to post again when you get a working version!